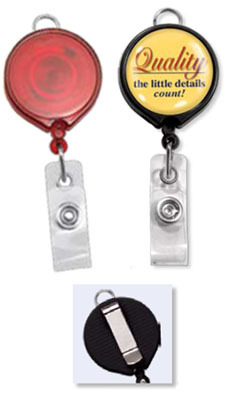 Logo Reel -plastic badge reel with lanyard attachment (loop) at top, slide-type belt clip and clear vinyl strap. Largest imprint area. Available in solid and translucent colors.